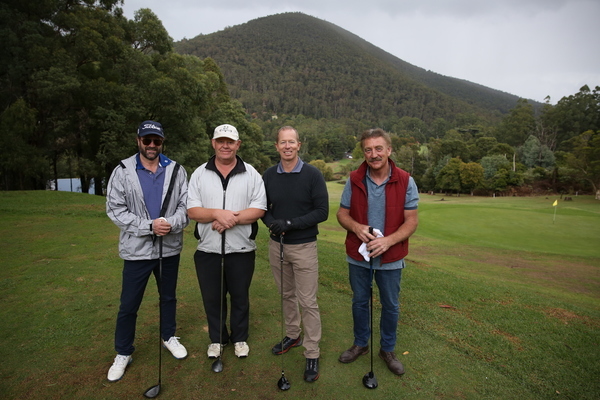 Terry Daniher, Tony Shaw, David Cloke, John Birt and Stephen Richard were among the names teeing off on Tuesday 9 April at Warburton’s Variety Golf Day. 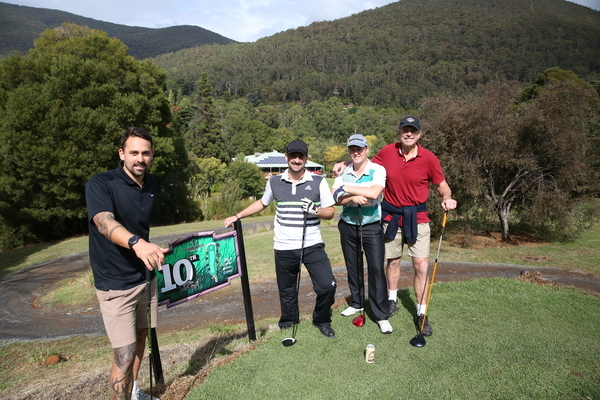 The day saw over 70 people play in a game of Ambrose golf – a type of golf where four players work as a team and each player hits off the tee. The best shot is then selected and all other players pick up their ball and place it, within one hand span, alongside the best ball. Each person then hits a second shot from the same spot. 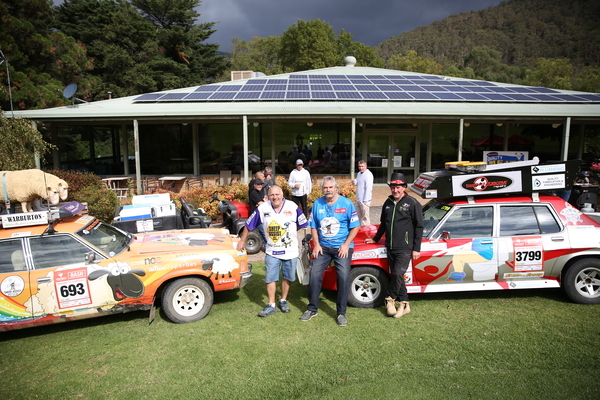 Warburton residents and Variety Bash veterans Lachie Pitman and Glenn Harrison organised the day and all funds raised on the day go towards the Variety Children’s Charity. “We wanted to do something to raise some funds and do it as part of Warburton,” said Glenn. “Because our car is 3799 which is the Warburton postcode, we wanted to do something that was also promoting the town. 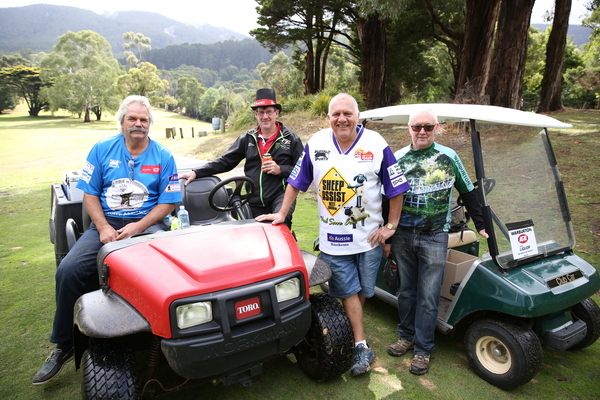 “It was a good day and lots of local business got involved … the IGA jumped on broad, Warburton Butchers provided meat for the barbecue and the golf club helped out. Both are regulars in the Variety Bash and this year will be travelling from Melbourne to Geraldton. 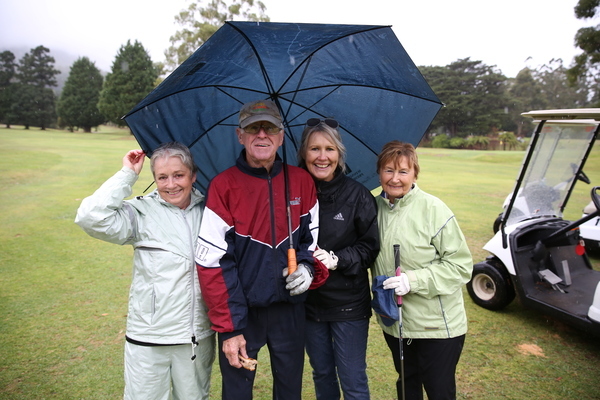 While the weather on the Golfing day was less than favourable teams went about playing all 18 holes, and enjoyed a competitive day on the green. 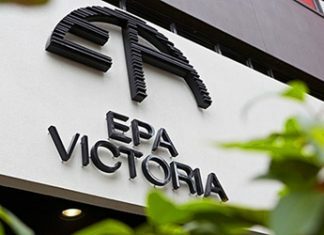 With various items up for auction including signed posters and football jumpers from football stars David Cloke and Terry Daniher, the entire day raised over $5000. “It all goes to variety and it’s a really great event and we’re hoping to do it again next year, with a couple more football celebrities,” said Lachie.